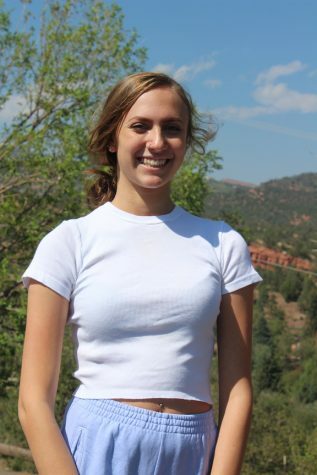 Maya Berns is a senior at Manitou Springs High School. This is her first year doing yearbook, and she’s mostly interested in everything surrounding business. As a matter of fact, she is one of the Business Managers– the other being Riley Cluxton– and the pair are in charge of the selling of the yearbook and the advertisements within it. When she’s not at school, Berns runs track and enjoys traveling. She wants to travel all over the world and experience as many cultures as possible.